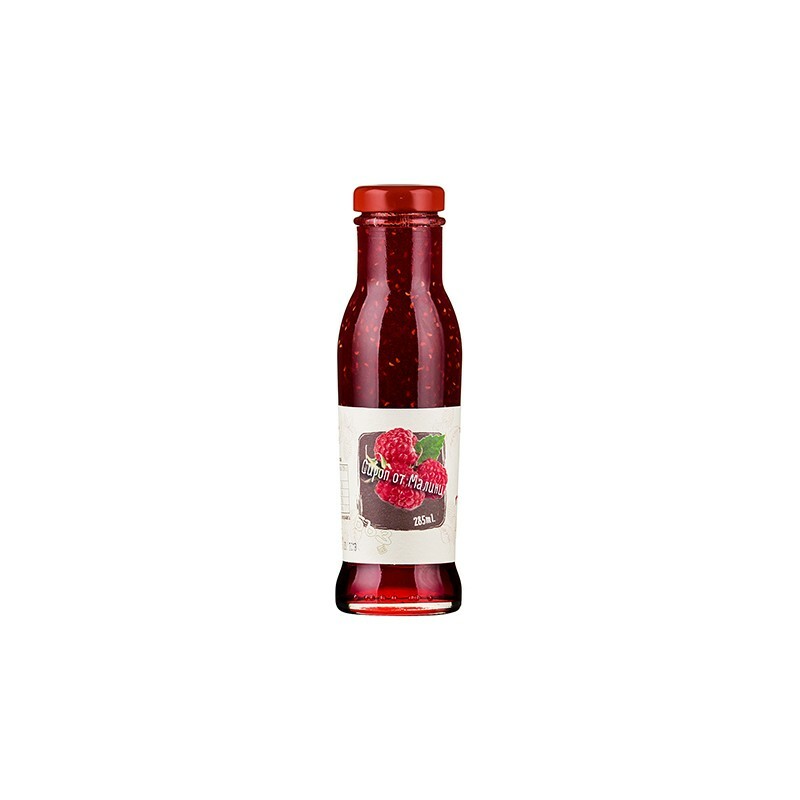 Natural Raspberry syrup is dense and tasty - suitable for young and adults. Natural product, does not contain colorants, flavorants and preservatives. In addition to pleasant taste, raspberries are rich in a number of beneficial for the body acids, minerals, sugars and vitamins. Raspberry helps to strengthen and restore the body during periods of colds, fever, flu, respiratory diseases, joint pain. Thanks to salicylic acid, the fruit successfully lowers the high temperature without any side effects like ulcers, etc. Raspberries have antitoxic, blood-replenishing properties and are recommended for people with gastrointestinal problems, kidney disease and hypertension. 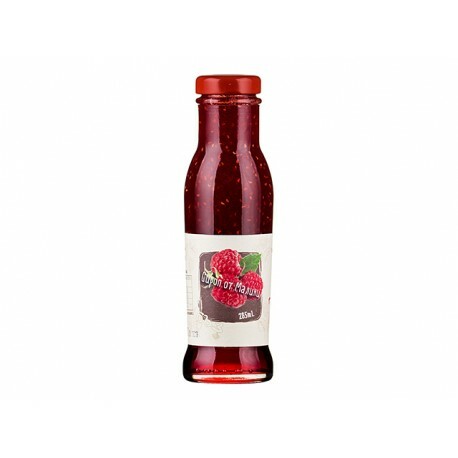 Only 200 grams of raspberries provide the necessary daily dose of vitamin C. Raspberry is suitable for people suffering from nervous overload because it contains the unifying ingredient of almost all antidepressants but namely: honey! Fruits of raspberry, sugar, water, acidity regulator: citric acid.